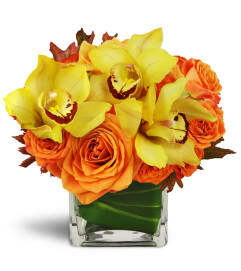 Send a major wow factor with these modern, elegant callas! 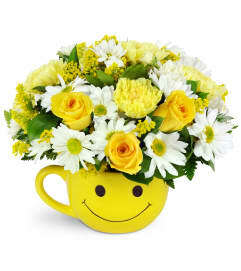 Artfully arranged in loops and swoops, it's a perfect combination of cheerful yellow hues and and modern sophisticated lines. 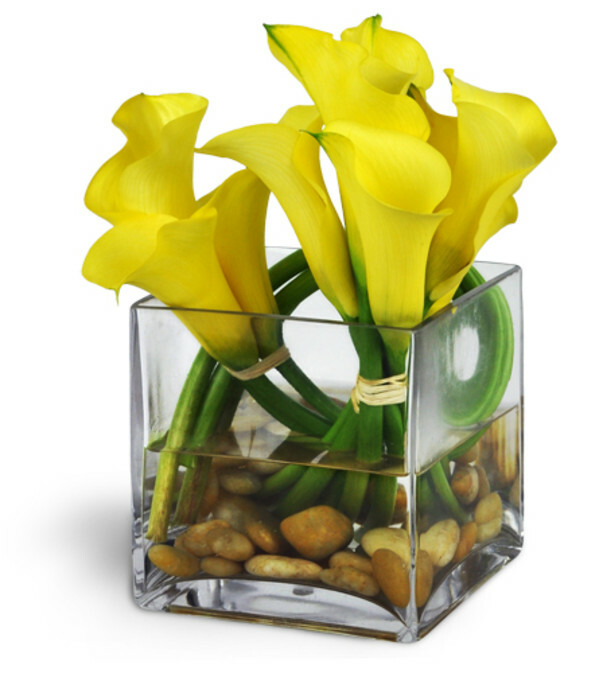 Delicate yellow calla lilies are expertly arranged with river rocks in a cube vase, perfect for your favorite trendsetter.